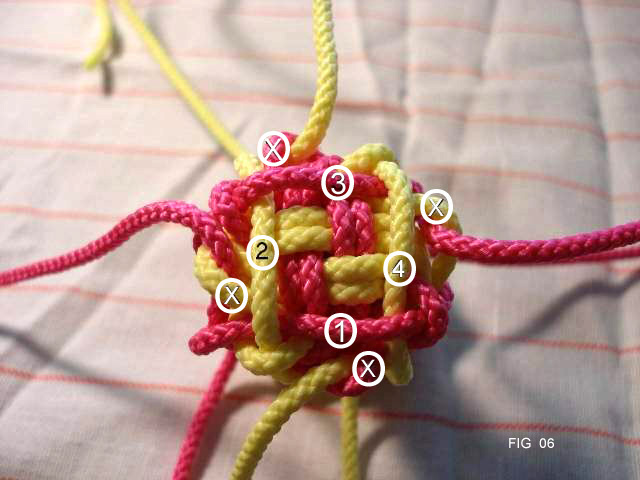 of the LLK, so I hope this will help with some of the details a bit. 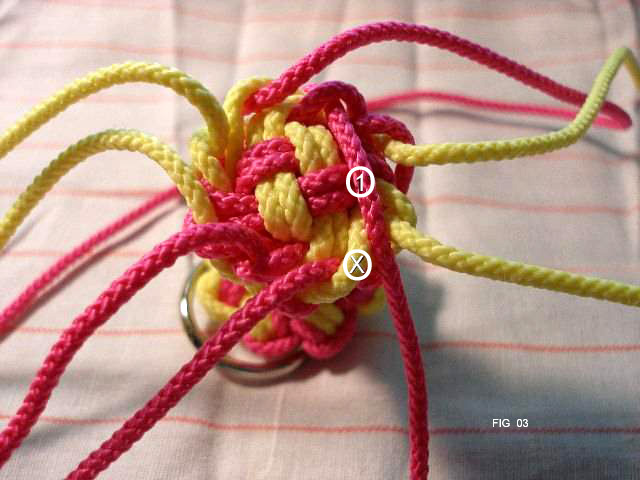 complete the not in later steps. 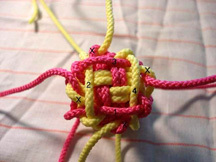 Over 1 Under 1 for now. 8: Side view showing following of cord on left side, Over 1 Under 1. 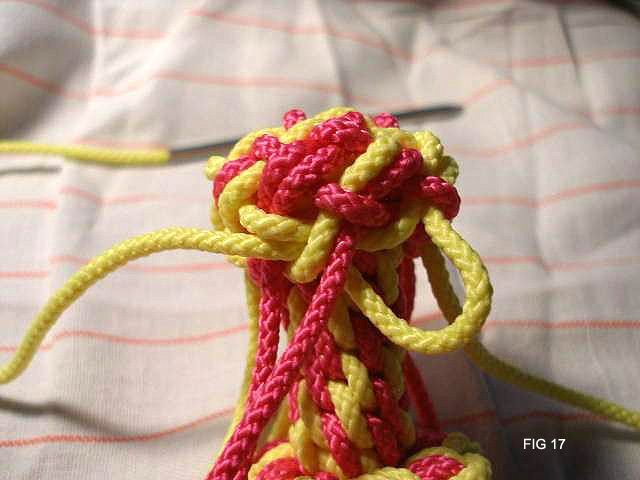 11: Cords shown in finished position. 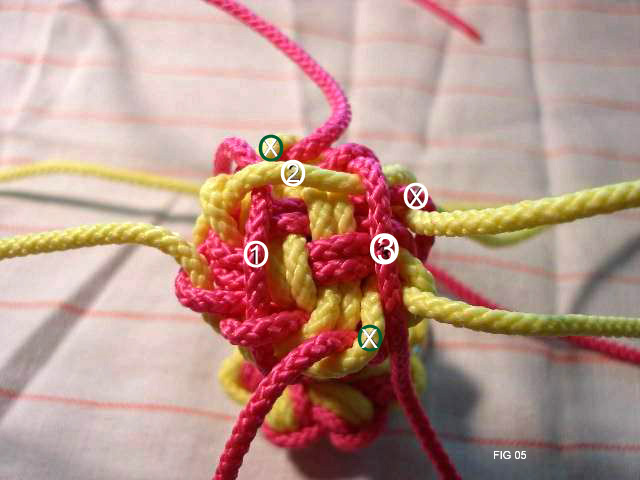 13: Both cords shown in the proper Over Under sequence. 14: Tighten and even up cords as much as possible. 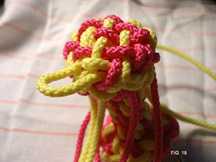 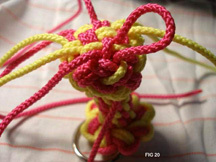 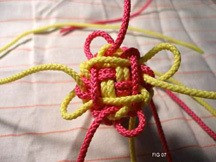 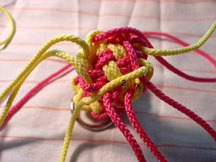 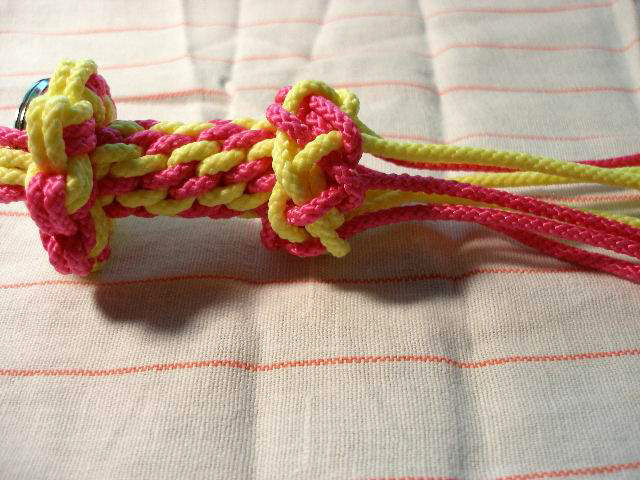 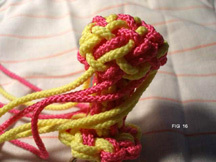 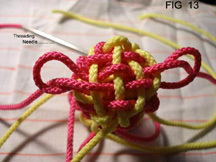 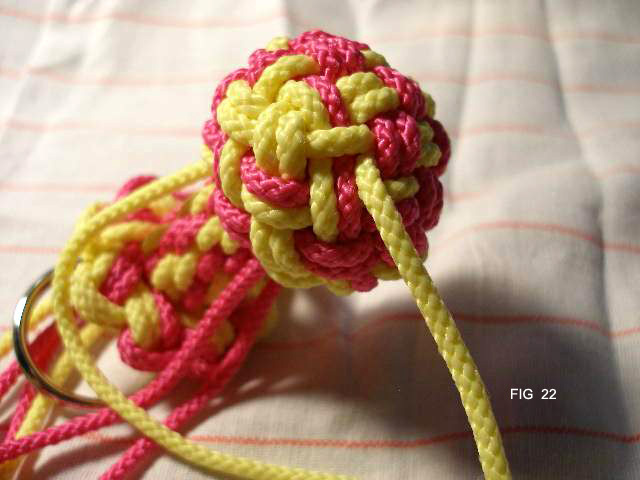 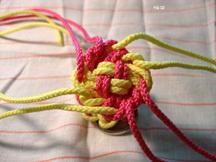 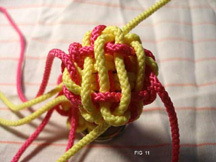 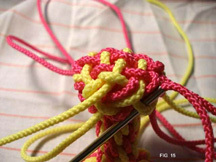 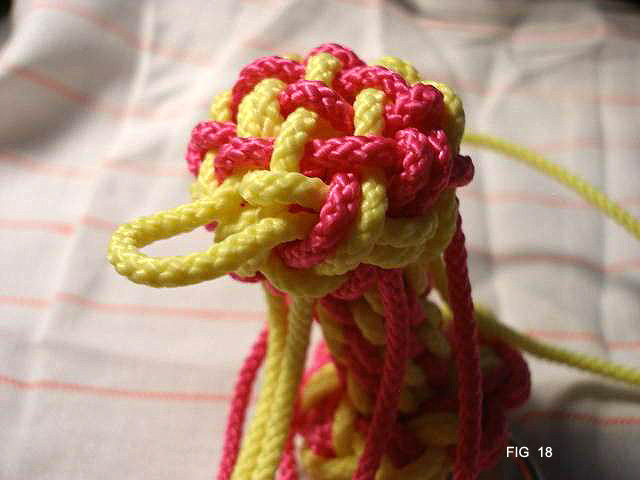 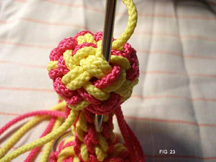 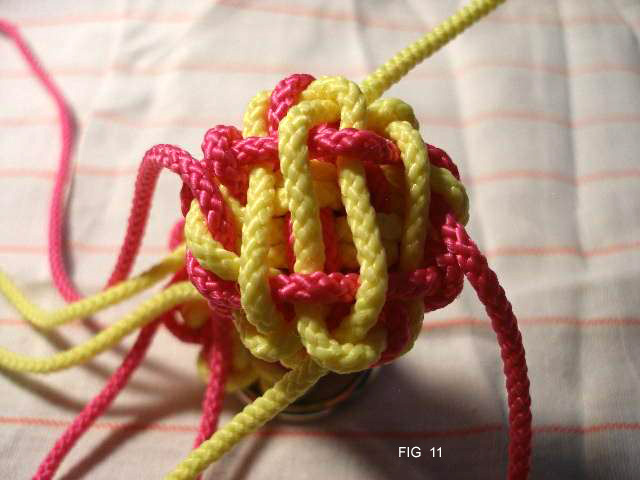 left, creating a doubled knot. 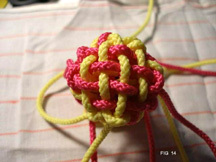 16: Continuing the doubling process. 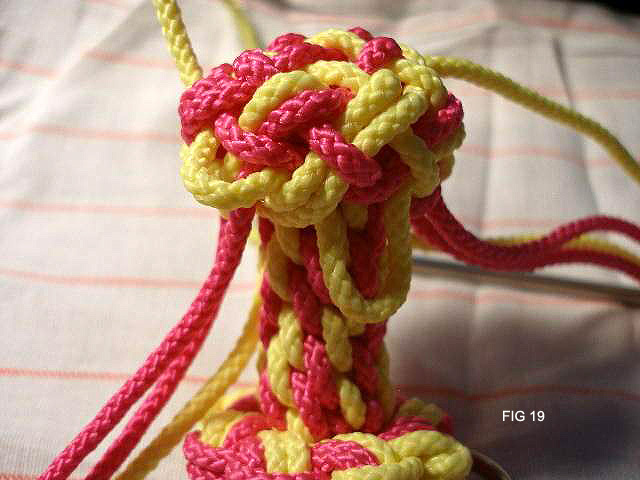 18: Following cord on left side. 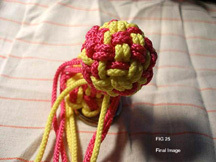 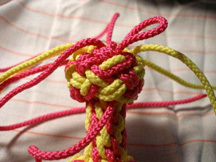 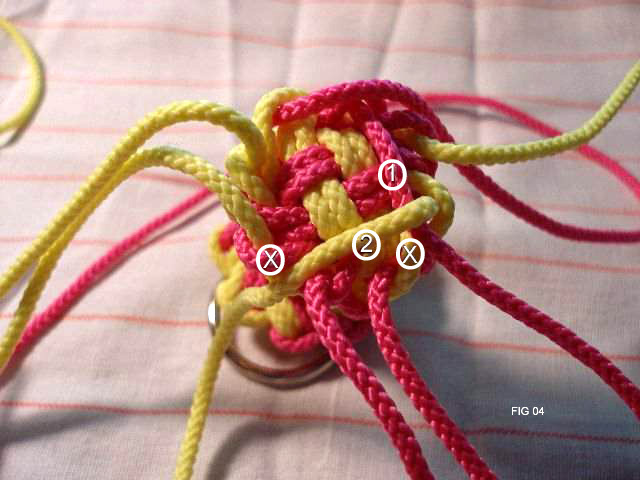 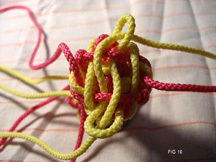 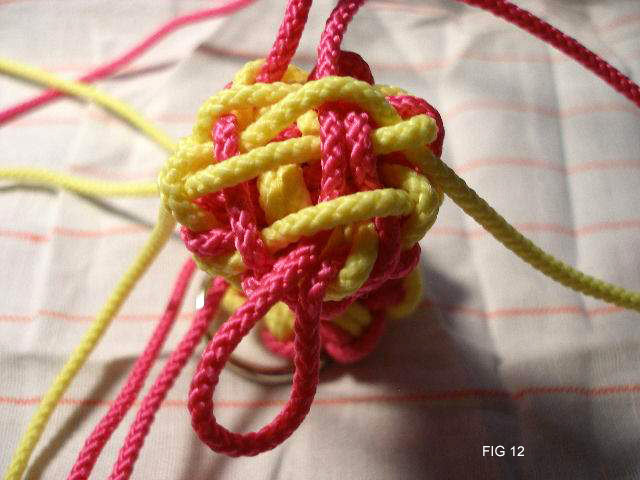 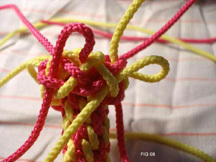 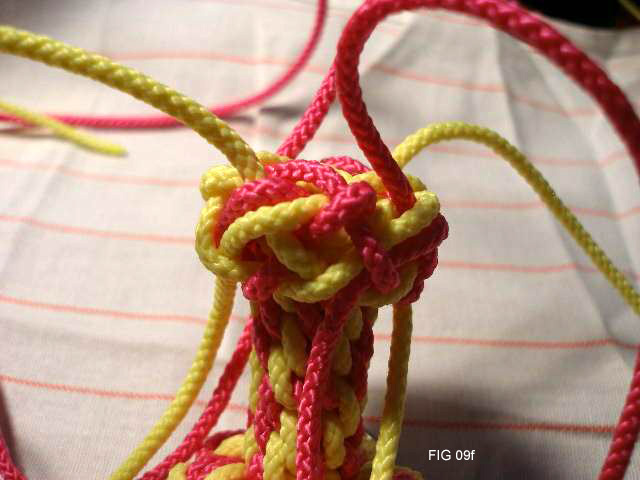 19: Continue with all 8 cords until they are all on top of the knot. 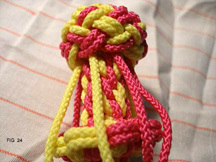 23: Last cord going through edge of the knot. 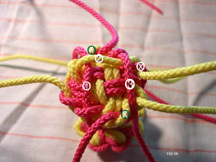 24: All 8 cords through the knot.